Agro is a unique colour and one I surprisingly really like considering I don't normally reach for darker green shades. 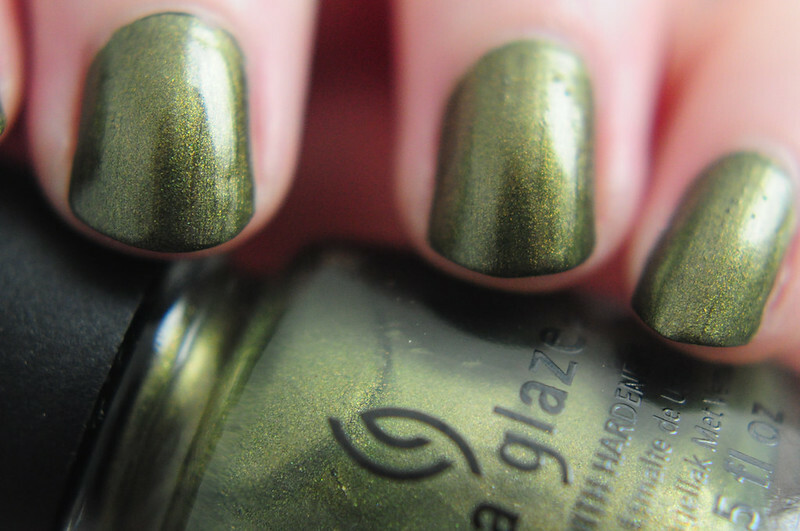 The flecks of gold are what brings this nail polish to life though and looks amazing when it hits the light. Since it has a metallic finish, brush strokes are visible if you're not careful when applying. I always try to apply the final coat very neatly and always finish with a thick layer of top coat. 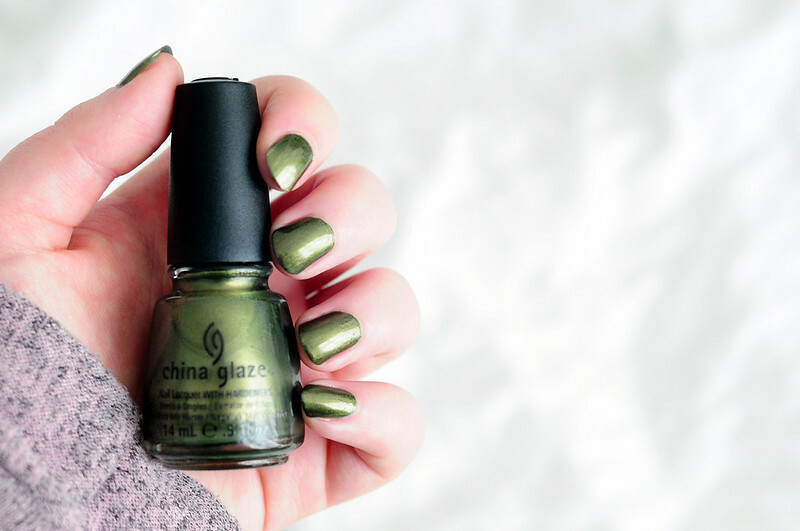 This is such a pretty shade of green. :) It looks amazing on nails!